Last week I posted a link to Art 21’s blog interview with Jenny Holzer. This week they have a brief interview with Chicago based artist Nick Cave. If you are not reading Art 21’s blog I would highly recommend it. Below is an excerpt from A21 describing Cave’s Soundsuits. Check out Nick Cave’s interview here. this is fabulous. it is a creature and a creation. It is something to really be near not just look at. That kind of art is rare. 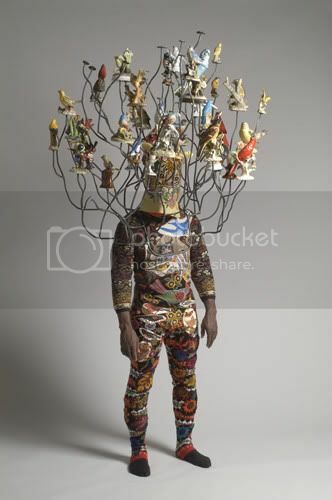 The Soundsuits of Nick Cave: Contemporary Art or Material Culture?